Vintage mics, hand-picked from Ocean Way, for the Sphere L22 microphone. The Ocean Way Microphone Collection plug-in, exclusively for UAD hardware and Apollo interfaces, expands the capabilities of the acclaimed Townsend Labs Sphere L22 microphone system with 12 ultra-precise emulations of the “best of the best” vintage mics from Allen Sides’ world-renowned mic locker. Download unprocessed tracks recorded with the Sphere L22, and audition various mic models using the plug-in. The Ocean Way Microphone Collection gives you access to the rich, three-dimensional sounds of Allen Sides’ world-renowned microphone collection — used by countless A-list artists, including Frank Sinatra, Radiohead, Ray Charles, Ella Fitzgerald, and Stevie Wonder, among others. Now you can track vocals, guitar, and more through Allen Sides’ hand-picked classic mics like the Neumann U-47, Sony C800G, RCA KU3A ribbon, and AKG C12. With the Ocean Way Microphone Collection plug-in, you can change the proximity effect and polar pattern in real time or at mixdown, as well as reduce bleed, room coloration, and feedback — before or after tracking. You can also blend two different mic models together for recordings that capture the characteristics of both microphones. Easily record a singer/guitarist with reduced bleed between the vocals and guitar, or tweak a vocal’s bass response with the adjustable proximity effect. By connecting the Townsend Labs’ Sphere L22 microphone to the mic preamps on an Apollo audio interface, Sphere allows you to instantly monitor and record with a huge variety of mic sounds in real time. This ultra-low latency recording experience ensures that you can capture the emotion of a performance using the ultimate mic locker. *The Ocean Way Microphone Collection plug-in requires the Townsend Labs Sphere L22 microphone. All trademarks are property of their respective owners, and used only to represent the microphones modeled as part of the Ocean Way Microphone Collection software. Dull sounds back to life! This is a great plugin to revive dull sounds! As with the Townsend Plugin. These sound great. that's it. the best mics on the planet. Tecnología Townsend, cambio de juego!! Tengo toda la colección de Townsend y es una gozada disponer de esta colección de micrófonos de ensueño, con una gama tonal de lujo. No te arrepentirás, seguro!! For over 70 years, the Neumann U 47 has stood the test of time as the ultimate studio mic. Allen Sides has acquired — and sold — more than 400 U 47s, and the OW-47 is based on his favorite, serial number 2679. The OW-47 expertly emulates the original mic’s large condenser K47 capsule and a VF14 tube, giving you the same mind-blowing detail and legendary sonics for acoustic instruments and vocals. Released in 1953, the AKG C12 is almost always Sides’ choice as a drum overhead. It’s also his prefered mic for lush, breathy vocals. One of the most complex and intricate large-diaphragm condenser capsules ever made, the OW-12 #1 emulation is an exacting model of this classic, even capturing its classic 10 kHz-ish “bump” and high-end sheen and sparkle without accentuating sibilance. This AKG C12 is warmer and smoother than #1, highlighting the varying flavors of this classic, as it could be custom-tuned at the AKG factory to achieve different sensitivities and frequency response curves. The OW-12 #2 captures this favorite, the same one Sides’ used to record Frank Sinatra’s vocals on his 1984 album, LA is My Lady, as well as the all-star choir for 1985’s "We Are The World." Based on the Neumann M 49 — a slightly smoother, less-colored sounding U 47 due to a more transparent headbasket — the OW-49 faithfully emulates this late-’50s Ocean Way favorite. This mic has been used to track vocalists from Neil Diamond and Barbara Streisand to Phil Collins and Joni Mitchell. The Neumann M 269 was designed for the German broadcast market and is a variation of the Neumann U 67, using a AC701k tube instead of an EF86 and offering a variable pattern switch. Notable artists that recorded with the M 269 at Ocean Way include Kenny Loggins, Little Richard, Alanis Morissette, and Johnny Rivers. 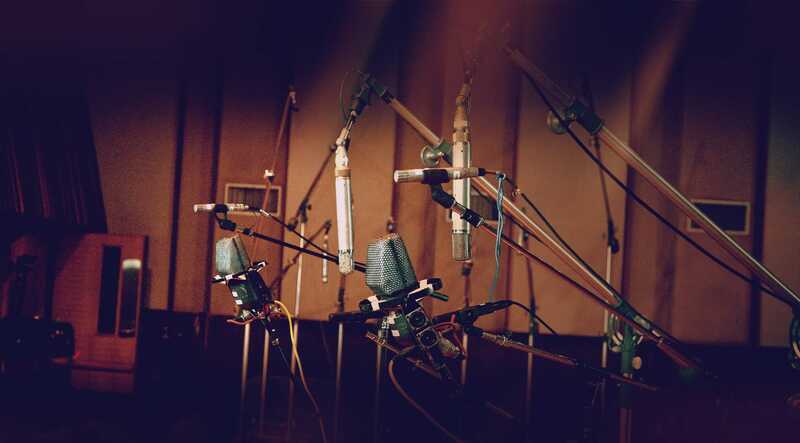 Allen Sides and Ocean Way were involved in the very early development of the famed Sony C800G mic, and Sides was given two C800G prototypes for listening tests. The OW-800 emulation captures the prototype’s slightly warmer character than a production C800G. Notable vocalists that have recorded with this mic include Faith Hill, Mary J. Blige, Stevie Wonder, Burt Bacharach, and Brian Setzer. The Neumann M 50 is a very unusual omnidirectional small-diaphragm condenser mic that features a capsule mounted on a plexiglass sphere. This design produces a nice high-frequency rise and an off-axis response which becomes more directional at higher frequencies resulting in the sound the M 50 is known and loved for. The OW-50 model is based on the earlier M 50a variant with serial number 294. Allen Sides chose this as the best M 50 specimen in his collection, as many famous movie scores have been recorded at Ocean Way Studios using this mic including E.T., Superman, 1941, Jaws II, Star Trek, Taxi Driver, and countless others. Released in 1953, the Neumann KM 53 is an end-address small-diaphragm condenser that uses the Telefunken AC701 subminiature triode tube. The KM 53 has an omnidirectional capsule derived from the M 50, but has a very different sound due to the body configuration. The OW-K53 emulation, when set to an omni pattern, is based on a KM 53 from Allen Sides' personal collection and captures the original’s unmatched transient response. Introduced in 1954, the Neumann KM 54 is a cardioid, end-address small-diaphragm condenser, and utilizes the Telefunken AC701 subminiature triode tube. The OW-K54 model, when set to a cardioid pattern, is based on Sides’ favorite KM 54, and sports an amazing transient response. At Ocean Way the KM 54 has been put to great use recording acoustic guitar and strings for the likes of Larry Carlton, Ry Cooder, Yo Yo Ma, Joe Pass, Kenny Burrell, and Eric Clapton. The Sony C-55P might just be the most underrated mic of all time. Allen Sides has said it’s one of the best microphones he has ever used, and one point Ocean Way owned about 30 Sony C-55P mics! Especially wonderful on acoustic guitars, Sides has used the Sony C-55P on virtually every album he's recorded a stereo acoustic guitar. A cardioid small-diaphragm condenser, it’s unique in that the capsule swivels 90° inside the headbasket so it can be used either side-address, end-address or any point in between. The OW-55 model emulates the sound of the C-55P in Sides’ prefered side-address mode, but also allows for other capsule orientations. The RCA KU-3A, sometimes referred to as a 10001, is an extremely rare cardioid ribbon microphone from the 1940s. The microphones were reportedly hand-built in Hollywood, California by RCA technician, Charles Gant, specifically for the motion picture industry. The OW-K3A emulation faithfully captures the original’s fixed-cardioid design and smooth, very controllable, off-axis response. The now ubiquitous Shure SM57 was introduced in 1965 and utilized the relatively new Unidyne III capsule which had first been used in the Shure 545. A fixture on guitar amps and snare drums, their sound has slightly changed over the years, with some preferring the older US-made SM57s. The OW-57U3 emulation is based on a US-made version from the late ’60s. As with the Townsend Plugin. Tengo toda la colección de Townsend y es una gozada disponer de esta colección de micrófonos de ensueño, con una gama tonal de lujo. Paired with the L22 mic, Ocean Way Studios reverb plus various other UAD console emulations you can conceive of and then realize a fantasy recording experience in your DAW. The Neumanns are my favorites. I was happy with the stock Townsend models and really didn't want to have to buy this...but had no choice. Even with the same mic (M49, C12) there's an extra bit of richness and depth to the Ocean way versions. The C800 is killer, the KU-3A ribbon has a great midrange character, and KM-54 is a useful addition. I have even more tonal options now. To me, this has the most crucial vocal tones that I need: more modern and bright. But I also have the Bill Putnum ones, which I consider more for vibey songs, I guess. The Townsend system really is incredible, and while there are others out there (notably, the Slate), the Townsend has the most control and lowest latency due to using the Apollo in tandem with the DAW as well as how smart the dual capsule system was designed in tandem with the modeling software. It's just a no brainer. The ONE thing I've found to be a "downside" on this system is the self noise of the Townsend L22 itself. It is SO QUIET that it apparently doesn't mask other noises in my room, which my previous tube LDC's apparently were! Haha. But the upside is that you get a MUCH cleaner recording, you can't clip the circuitry of the mic, and you can capture delicate sounds with more subtlety and ZERO concern about the noise floor. *The self noise is rated a 7db A weighted. There are very few microphones able to achieve even DOUBLE this noise floor. Neumann KM-184's are around 13, and that is already very quiet compared to most mics. These emulations are great - the diffrences between the models seem to be sometimes quite subtile but than suddenly you find the Sound you were aiming for. It is so cool to have the opportunity to choose the mic in the mixing stage... and it's great to have all the three collections. Yesterday I was soloing lead vocals - my favorite was the BP 47 - but in the mix the OW 47 worked even better - amazing! This plug in with L22 is all what I need. Recording acc. Guitar, Vocal, Sax etc.... Work for everything. I do not know how to sound the original C 12, ore some expenisve Nemann, but these emulations sit in every mix! Using my Sphere mic system is a revelation and having access to the Ocean Way collection software along with the mic collection that comes with it gives me every possibility I could ever imagine! Combined with my Apollo and Softube Console 1 the workflow is hands on and makes it so easy to dial in whatever I need to track on the fly! The other thing that’s incredible is that I can dial in the polar patterns to tune in the room and any applications that I’m working with! It’s a true game changer! I think the original Townsend collection is great. I had thought, since the Ocean Way set has many of the same mics, that I might be risking a lot of duplication. But nope. Each mic has its own character, so, for example, the U87, in one collection isn't the same as in the other, and it's likely I'll use each in different situations. Of course, each collection has mics that aren't the same and they're amazing, too. All in all, I'm glad I increased my digital mic closet with this purchase. I've recorded, off and on, in the Ocean Way building(s) since about 1962... quite some time. Alan has been a friend for many years and his expertise and talent is beyond compare. Being able to access some of his wonderful mics is a blessing. Truly. The UA folks have used their great talent to allow us this cool opportunity. I appreciate this plugin. It rocks...! I have been using the Sphere mic system for nearly a year, and it has completely changed how I work in the studio. For years I have used multiple microphones on sources that I’m recording, and it has been worth the extra work in terms of flexibility and tone, but the time and hassle of changing mics and stands and preamps did slow me down in terms of working with my flow of ideas. Now, I’m able to set up a Sphere mic and try multiple mic and preamp models in real time through my Apollo interface,and I’m also able to blend mic models within the software as well. With this most recent update, I’m able to blend Ocean Way mics with the Townsend core mic models--that come for free with the Sphere mic, or blend Ocean Way mics with other Ocean Way mics, etc. Then, I can either commit the sounds to my recording, or simply record dry while listening through the mic models in Apollo, and commit to a final choice later in the mix. Also, since I can automate the mic plugin, I can vary between models over the course of a song. If I am using a ribbon or dynamic mic as one of my models on a lead vocal to get a particular verse tone, but I want a brighter condenser tone for the chorus, I can easily automate that. These models sound amazing, and provide an incredible range of colors and options. I cannot say enough good things about this system. Also, if you have a need for customer service, the folks at Townsend, and the folks at UA have treated me with speed, kindness and excellent help. I'm in a self built low budget studio and would use an AKG C-414 to record vocals.. Until the day bought my townsend labs L22 and never looked back. Well, now that I have some time to look back, they just recently added the 414 with several different versions to choose from. It sounds the same or better (noise floor) and that's before you include the rest of the Mic's both emulating and modifying vintage mics. It seems like this mic should cost way more than it does but that's just another plus. An astonishing pedigree mic locker at your fingertips. I was already very happy with mic emulations I got with my Sphere II, but these are truly amazing. Somehow Alan Side's ears helped making the revered mics sound even more silky in the top end. I love the C800G and C12 variations. I would have loved to see a Telefunken 251 and a Manley Ref C, but I am not complaining. The fun part starts with combining/mixing different mics with each other. As others have stated here, I also was blown away with the sound of the Sphere mic alone. The double capsule alone is great for a stereo room mic! I then started to experiment with various included mic emulations and was also very pleased when recording male and female vocals. The Ocean Way microphone collection adds amazing new mic emulations to an already great product.